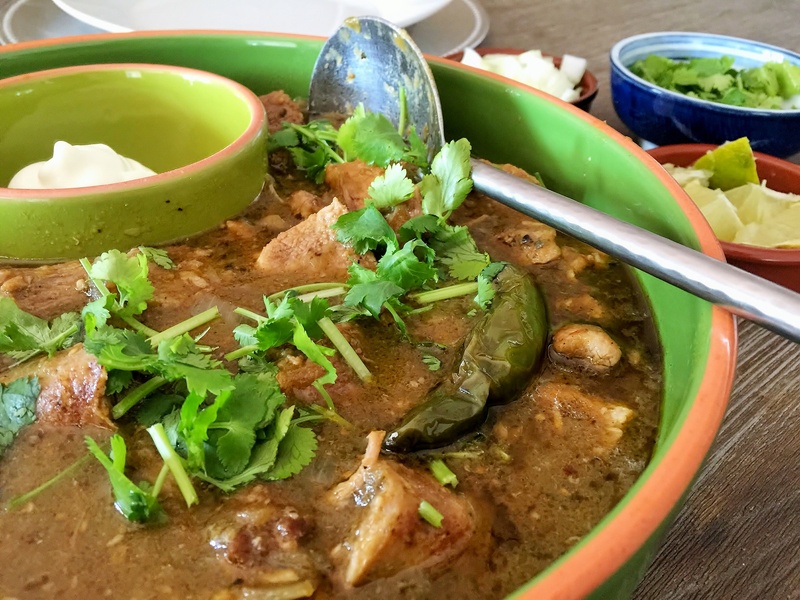 The original recipe was adapted from Sauveur’s The New Classic Cookbook Chile Verde recipe, pg. 100. 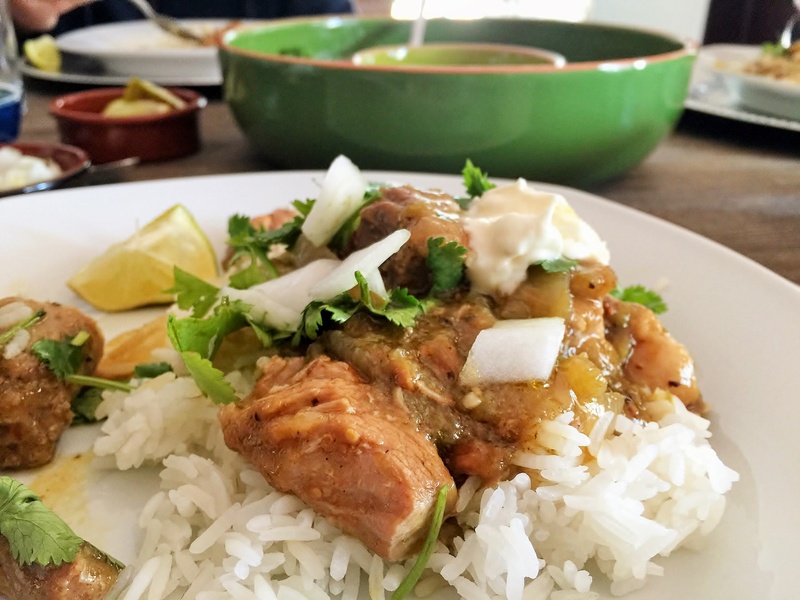 Whilst the original recipe called for various spices, I worked with/used minimal ingredients I had available from the pantry, and the overall result was delicious! Heat oil in an 8-qt. saucepan over medium-high heat. Season pork with salt and pepper; toss with flour. Working in batches, add pork to pan; cook until browned, about 6 minutes. Transfer to a bowl; set aside. Add sausage to pan; cook until browned, about 4 minutes. Transfer to bowl with pork. 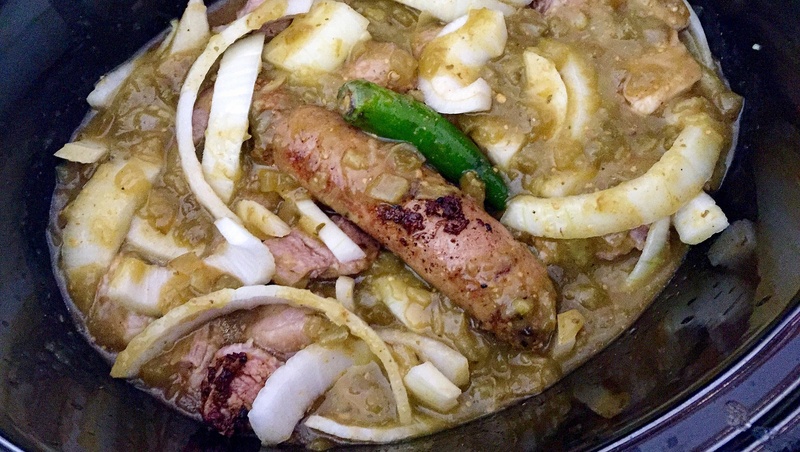 Add reserved pork and sausage, stock, partial chopped onions, and chile verde sauce into a slow-cooker and cook until pork is tender, about 4-6 hours (on high) or 8-10 hours (on low). Depending on how long you set the timer on the slow cooker, at the last hour, season (to taste) with cumin, paprika, salt, and fresh ground pepper. 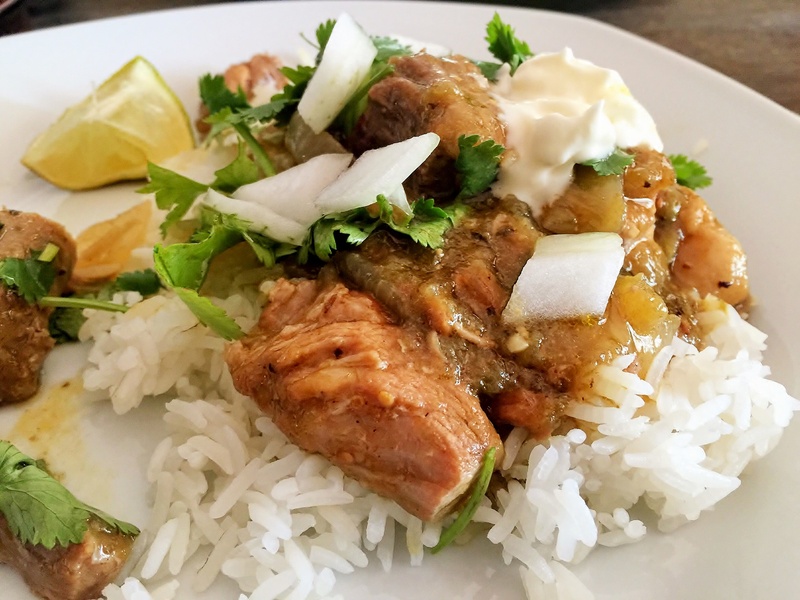 Serve over steam rice and garnish with cilantro, and onions; serve with hot sauce (I opted to use creme fraiche, which makes the dish additionally refreshing to the palette). 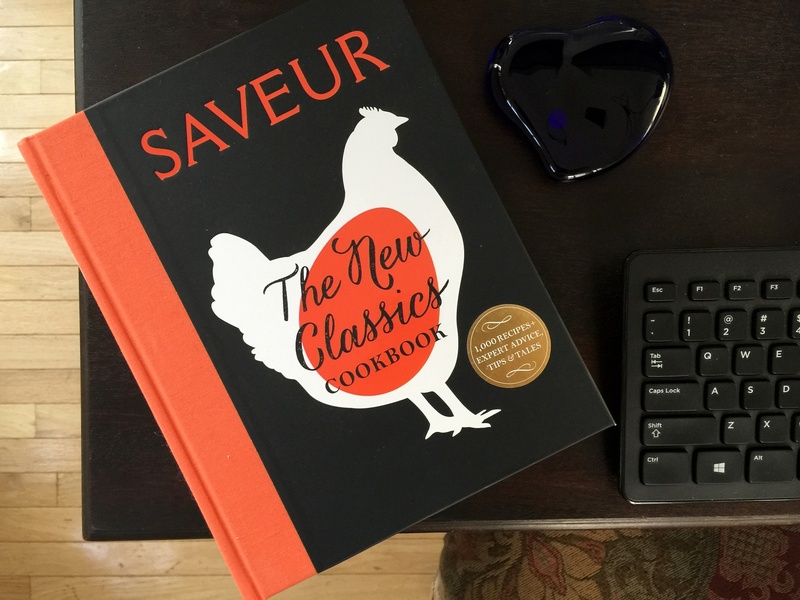 Posted in Entrees, Food Stories, Menu and tagged comfort food, Cooking, food, foodies, homecooked meal, rustic food, stew, the cooking apprentice. Bookmark the permalink.